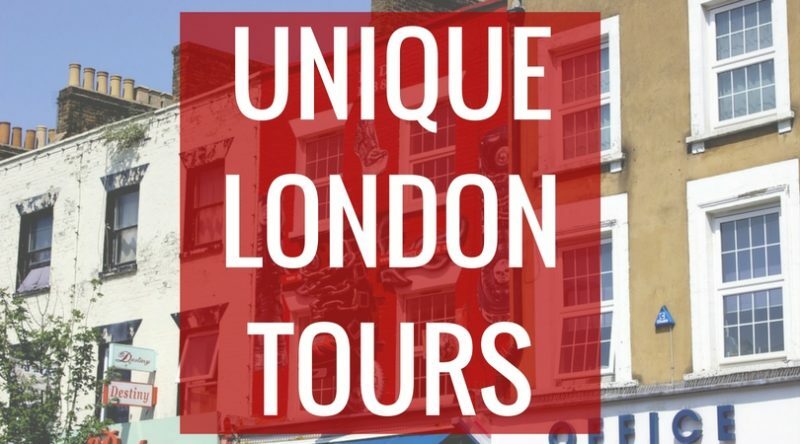 Out of all of the souvenirs you could get to commemorate your London trip, professional photos of you around the city are the ones that I think you’ll love the most, and for the rest of your life. 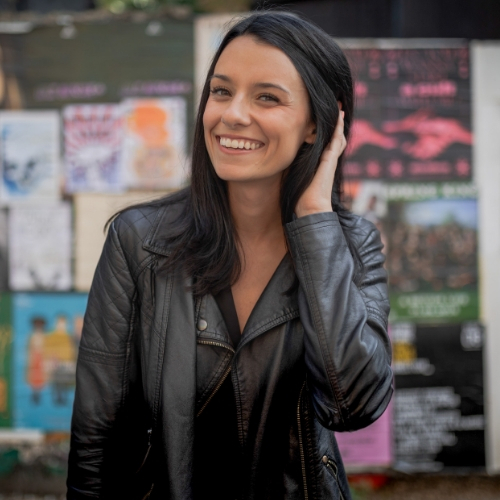 It’s become quite popular for London visitors to book photo shoots with professional photographers in order to get the most beautiful photos possible. 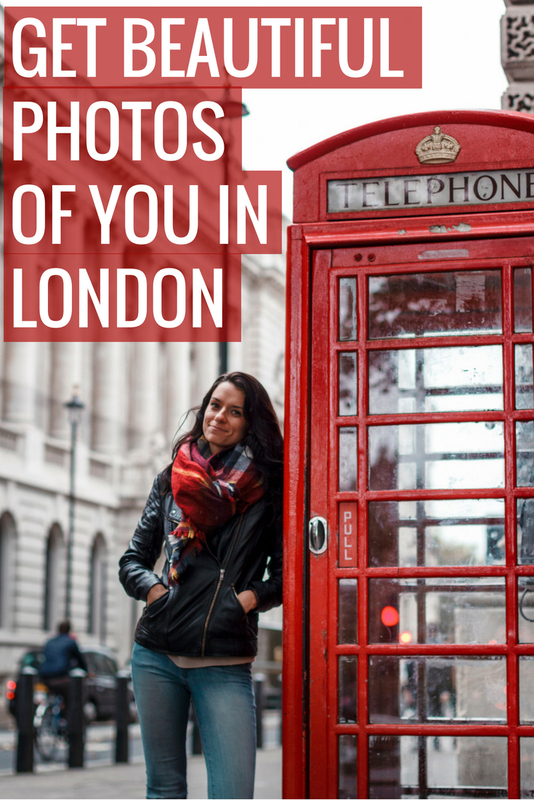 If you’re thinking about booking a London vacation photography session, here’s what you should know before you do. I’m guessing that you’re not a professional model, right? And maybe you’ve never even had a professional shoot done before. So you want a photographer who has experience with first-timers, who are often nervous and stiff when starting out. A GOOD photographer knows how to make you feel comfortable and relaxed. Most people who book a London vacation photography session want photos with some of the most famous attractions in London, like Buckingham Palace and Tower Bridge. These are some of the busiest areas in the city, and there are often obstacles that pop up unexpectedly, like protests. So you’ll want to find a photographer that has experience dealing with things like that, and who knows great alternatives nearby for photos that are just as good. 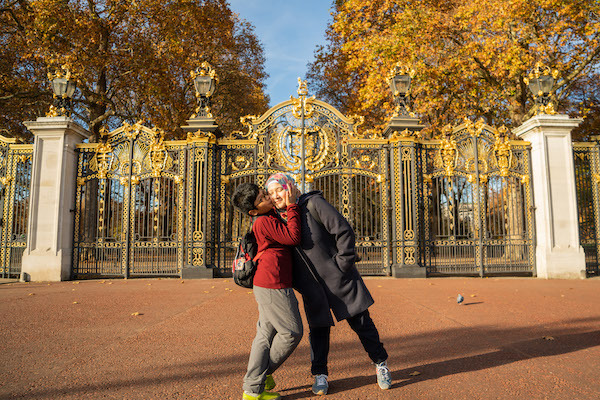 A good test is if you ask for a photo shoot around 11 am in front of Buckingham Palace. On many days, Changing the Guard is happening at that time, so if they don’t mention that, then they probably don’t have enough experience in dealing with shooting in tourist areas. London’s weather is fairly unpredictable, and you may end up with a cloudy or rainy day for your photo shoot. That’s totally ok though– any good photographer knows how to get incredible photos, despite an ugly day. To make yourself more comfortable during your shoot, just be sure to watch the forecast carefully the day before and dress yourself accordingly. Chances are, the shoot will be outside the entire time, so make sure you have bundled up if it’s cold, or have layers you can take off if it’s hot. Finally, if you find yourself (luckily) with a sunny day for your shoot, don’t forget your sunglasses! “Golden Hour” is a photography term referencing the beautiful golden glow that you’ll often see just before the sun sets or just after it rises. It makes for beautiful photos. Let your photographer know that you’d like to take advantage of golden hour and they can usually suggest what time that would be for the day you want to book. Also, if you’re planning to book one of our London Photo Sessions, and you’re not sure when golden hour will be, you can go ahead and book any time on the day you want to have your shoot, and just let us know once you’ve booked that you would like to adjust your shoot time for golden hour and we’ll help you out. You’ll want to wear anything you’re comfortable in, and that fits your own style and personality, for a London vacation photography session. If you’re very uncomfortable in what you’re wearing, or feel out of place, it could definitely come across in your photos. They should be a reflection of you, so keep that in mind when picking what to wear. For our London Photo Sessions we also suggest to our clients to bring an item for variation– an alternative jacket, or a hat, are two popular options. As mentioned earlier, since you’ll likely be shooting in some of the busiest parts of the city, unexpected elements may pop up that means you can’t shoot in your originally-chosen locations. That’s ok! Just be flexible, and if you’ve got a great photographer, they will know some great alternatives that you’ll love taking photos with just as much. If you think you’re ready to book a London vacation photography session, find out more about our London Photo Sessions. We’ve shot over 90 sessions in just over a year!